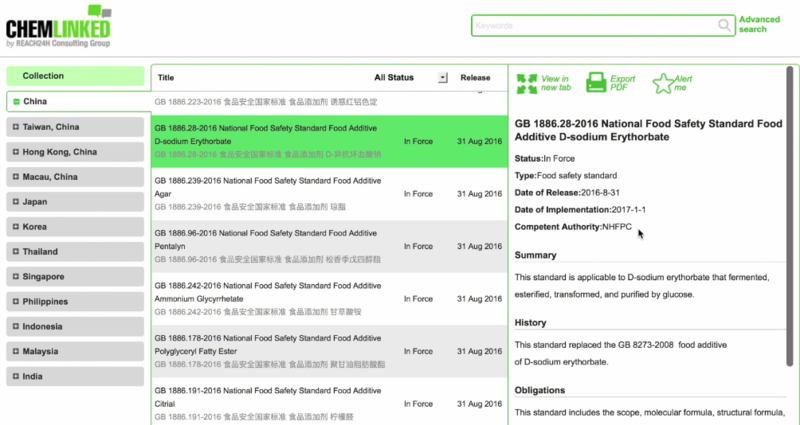 Sorry, ChemLinked food regulatory database is only available to our food premium members, you are welcome to apply for a 14-Day Free Trial to get advanced access or upgrade to our premium membership account to enjoy full access. It’s a comprehensive on-line library enriched with must-know food regulations and national standards for market access to Asian countries, especially China mainland. We develop this database with the aim of providing key compliance advices concisely to save the time of busy regulatory professionals and decision makers.